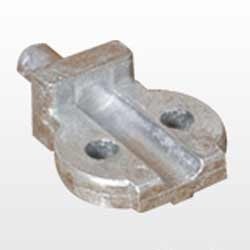 With our spacious experience and sound knowledge, we are betrothed in offering a wide assortment of Aluminum Bimetallic Connectors for Distribution Transformer. Our offered transformer parts are accessible in a range of sizes & other specifications as per client’s requests. Transformer parts, offered by us are manufactured using top grade material and progressive machinery. These transformer parts are in tune with the widespread norms of quality.